Floral Design Essentials 101 is a 2-day basic flower arranging workshop is for people with a passion for flowers. 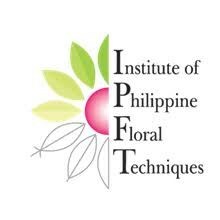 It is open for students who are interested in floral design and want to try working with flowers. This workshop provides the opportunity to create beautiful arrangements while learning some tips and tricks of design. This beginners workshop will focus on the basics of flower arranging such as proper use of tools, proper care and handling of flowers, basic principles and elements of floral design such as color, line, form, texture, balance and proportion. It will also focus on making a hand-tied bouquet and low table centerpieces. Experience the colorful world of floral design! Learn the basics of flower arranging now! Hand-outs, Certificate of attendance, imported flowers, floral foam and wrappers. Students will get to take home 2 beautiful arrangements. Limited Slots! Maximum of 10 students per class. *Pre-payment is necessary due to the perishable nature of majority of the materials. Enrollment will be forfeited if you don't attend. There will be no make-up if you can't attend, but you can send someone else in your place with at least 2-day advance notification ). In case you really can't attend, you may just get the flowers that are alotted for you, within 2 days from the end of the class. Full payment has to be made on or before January 4, 2019. You've successfully shared Floral Design Essentials 101. An error occurred while sharing Floral Design Essentials 101. Please try again.